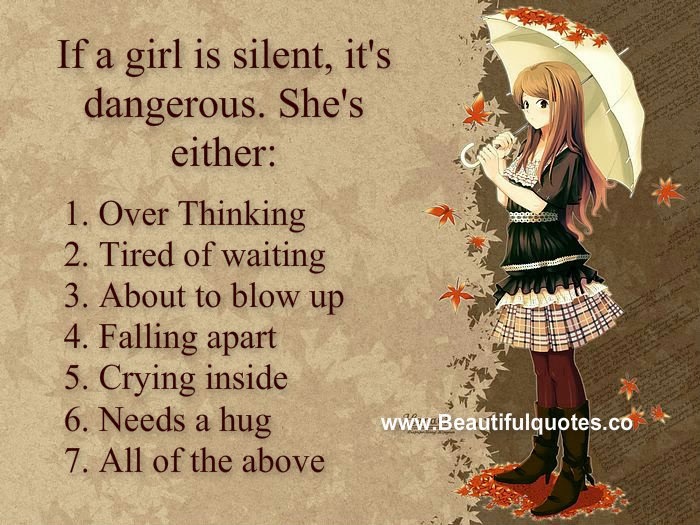 google-site-verification: google8d8438b214143f71.html Beautiful Quotes: If a girl is silent, it's dangerous. If a girl is silent, it's dangerous. If a girl is silent, it's dangerous. She's either: about to blow up, needs a hug, falling apart, crying inside or all of the above.